“Science advances fastest when scientists are free to apply their intelligence and imagination to the exploration of the universe without limits and without fear.” Yet scientists who identify as LGBT+ face a number of structural and personal barriers. On August 17, 2017, the Laser Interferometer Gravitational-Wave Observatory (LIGO) made a historic detection of a gravitational wave signal from a merging neutron star binary. 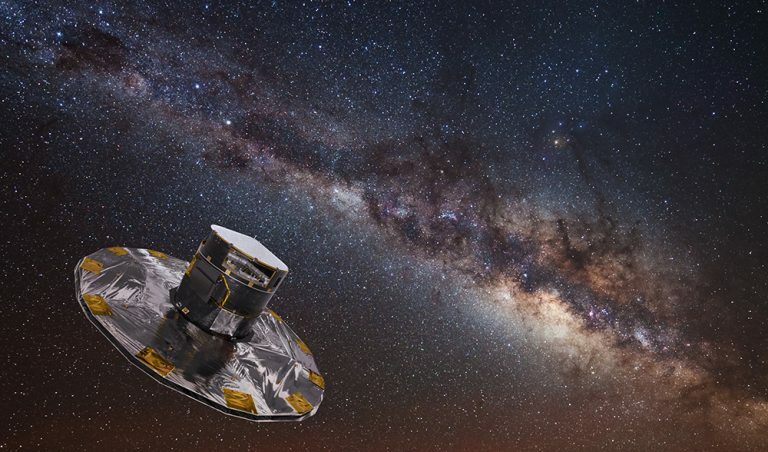 This detection was interesting for many reasons, not least of all because it was the first multi-messenger detection of both gravitational waves and electromagnetic radiation from the same event. “What is it you want, Earth? What do you want? You want the Moon? Hey, that’s a pretty good idea! I’ll give you the Moon!” the solar system once said to the Earth not too long after our planet formed. The Giant Impact Hypothesis postulates that our Moon arose from a catastrophic collision between the primordial Earth and a Mars-sized planet known as Theia with about a tenth of our planet’s mass. This idea was first proposed in 1946 and has gained significant traction due to the similarity of the Moon’s composition with that of the Earth, among other reasons. Specifically, several isotope ratios on the Moon — including oxygen — are identical to those on the Earth to within 0.01%. Unfortunately, recent simulations have shown that giant impacts rarely produce two objects that are so identical because the Moon often forms mostly out of material from the impactor, not the Earth. The similarity between the Earth and the Moon that helped inspire the Giant Impact Hypothesis has now become one of the most enigmatic mysteries to unravel. The simplest known element in the universe, hydrogen, is also the most important. Hydrogen (aka “H”) plays a crucial role for many of the awesome astrophysical phenomena that have happened (and will happen!) across the universe’s history. This element fuses in the cores of stars, lights up ionized regions in supernova remnants, and serves as a building block for other elements in the periodic table – just to name a few of its many talents. But that’s not all this epic element can do! 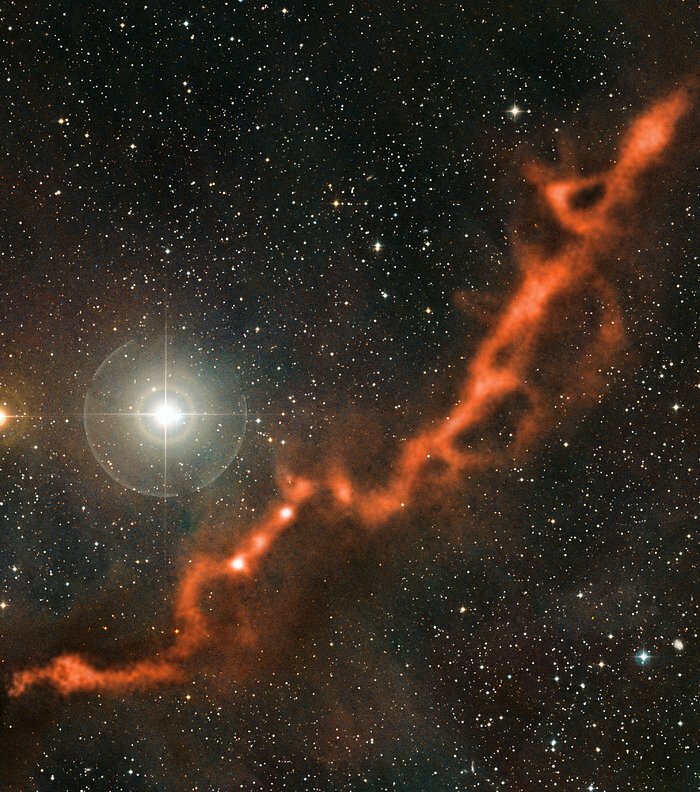 Its molecular form, H2, is the primary ingredient for molecular clouds, like the one shown in Figure 1. These molecular clouds are made up of both gas and dust grains. 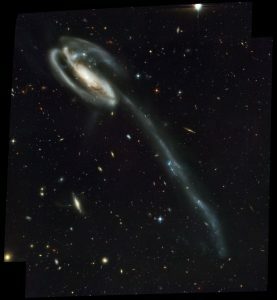 They are often found within spiral galaxies (like our own Milky Way), and they’re interesting in part because they’re the only known sites where glorious star formation occurs. To better understand molecular clouds and their glorious star formation, scientists have long studied the timescales for these clouds to form within the less dense, diffuse interstellar medium (a collective term for all of the matter and radiation between star systems) of space. Classic calculations of these timescales have often assumed that the diffuse interstellar medium (aka, ISM) is pretty homogeneous, even when we zoom in. In other words, they assumed that the gas and dust in the diffuse ISM are spread out uniformly, so that every bit of the diffuse ISM looks the same as every other bit. But observations from the last 50 years or so indicate that the diffuse ISM is actually very not homogeneous, with lumps and bumps even across small (relatively speaking) Solar System-sized regions. There have been numerous studies on what could be causing this non-uniformity at such small scales. 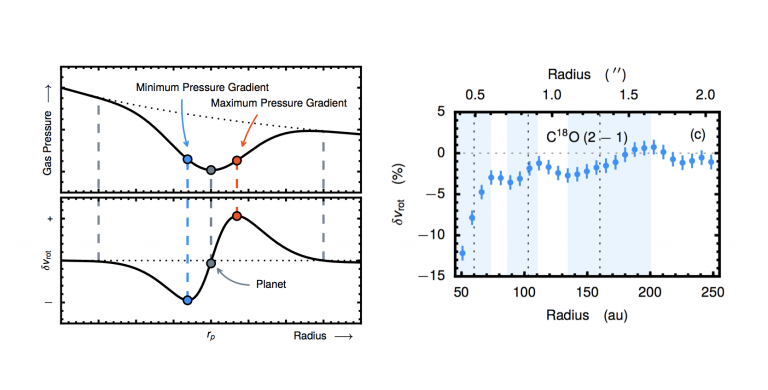 But today’s authors look at a possible mechanism that is particularly significant for H2: the formation of tightly-packed dusty clouds and equilibrium gaseous clumps in the diffuse ISM. The search for habitable, Earth-like planets is high on the agenda of exoplanetary scientists. However, habitability is far more complicated than checking that a planet sits within the goldilocks zone of not-too-hot, not-too-cold temperatures, just right for liquid water to exist on its surface. Dozens of other factors, such as the planet’s atmosphere, seasons and surface geography, are of critical importance to sustaining a watery planet and creating somewhere suitable for life. If you’re reading this, chances are you have heard of black holes. These mysterious objects have long captured the interest of the public and scientists alike. Even The Simpsons have tackled this topic. A supermassive black hole gives life to the subject of today’s paper, a quasar known as SMSS J215728.21-360215.1 (J2157-3602 for short), the brightest quasar yet discovered. Quasars are a type of Active Galactic Nuclei (AGN), which sit at the center of high redshift galaxies, meaning they have only been found at distances corresponding to the early universe. Their massive accretion disks allow them to outshine their entire host galaxy, making these astronomical bodies among the brightest objects in the sky. Hydrogen and helium are the two most abundant elements in our Solar System (and the Universe as a whole). They are the main constituents in our Sun and in the atmospheres of our gas giants. Even Earth has some minor amount of helium in its upper atmosphere. Because these elements are so common, we also expect gas giant exoplanets to have large abundances of hydrogen and helium in their atmospheres. In fact, in 2000, Seager and Sasselov predicted that we should be able to observe helium and other atoms in the atmospheres of these planets in the near-future. A planet must receive a large amount of energetic ultraviolet (UV) photons from its star in order to populate the excited levels in a helium atom. A planet must also have a large quantity of helium high up in its atmosphere where it can both interact with these photons, and be in a region of the atmosphere that is transparent. An opaque atmosphere would block any helium signal from reaching us. The Asteroid Belt contains many objects left over from the formation of the Solar System. Studying these objects can yield insight into the conditions under which the planets formed. The first author Christian Wolf has stated in interviews that J2157-3602’s black hole is growing faster than any other black hole discovered to date, feasting on a steady diet of two Suns worth of material per day. This means that if it was sitting at the center of our Milky Way instead of our milder Saggitarius A *, it would outshine the full moon 10 times over. With Gaia’s second data release, scientists will hopefully be able to spot more curious quasars and discover how they grew so fast in so little time. The article also stated that its intrinsic brightness was nearly 7 x 1014 times the brightness of our sun! The ΛCDM (Λ-Cold Dark Matter) model is the current standard model of cosmology and consists of normal matter, photons, neutrinos, cold dark matter and dark energy occupying a flat universe. The aptly-named Dark Sector can be described very simply: dark energy is a Cosmological Constant (Λ) and dark matter is cold (i.e. its particles move slowly compared to the speed of light). Each component of ΛCDM can be quantified by a single parameter. Dark energy drives cosmic acceleration, while dark matter clusters and seeds structure formation. The simple ΛCDM model has done exceptionally well in describing the large-scale structure of the universe: it accurately predicts features in phenomena such as baryon acoustic oscillations, the matter power spectrum and the cosmic microwave background (CMB). Even in the local universe, measurements of dark energy do not deviate significantly from Λ and CDM has had successes explaining galaxy clusters. Thankfully, ΛCDM might not be the whole picture (or I would be out of a job!). When a ΛCDM model is fit to the CMB, the model under-predicts the current rate of expansion of the universe (the infamous Hubble tension). Physically motivating a cosmological-constant-like dark energy has left physicists bending over backwards (even when they’re not doing yoga). Dark matter has not yet been directly detected and models of dark matter remain limited to candidates that are considered to be well-motivated theoretically. Hence, the Dark Sector remains, well, dark – despite some recent progress, our understanding is woefully incomplete. Our solar system is flat: all the planets orbit in the same plane as the Sun’s equator, at 90 degrees to its pole, giving inclination values close to 90°. 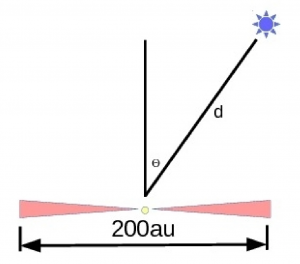 While exoplanets orbiting at different inclinations can exist, transiting exoplanets nearly always have inclination values very close to 90°, allowing us to see them passing in front of their star.